The ultimate in front door and back door design, PlatinumNRG offers the highest specifications for PVCu and composite doors in Sussex. For many different styles of PVCu doors (formally known as uPVC doors), we can offer a full range of styling, from the classic french and patio doors to the contemporary and extremely popular PVCu Bi-Fold doors. Composite doors along with PVCu entrance doors are also in great demand due to heightened security being foremost in customers minds. If you are looking for companies who manufacture and sell bespoke PVCu and composite doors in Sussex, then take a look at PlatinumNRG. We work alongside many top class partners throughout the South East of England, to offer an exceptional service with the highest quality products. Sliding quietly and easily all the way back to their hinges, our PVCu bi-fold doors can offer a dramatic transformation to your home. Whether only one panel is open or all of them, you will be guaranteed more light into your home, a stunning and contemporary look and it will give you the illusion of bringing the garden inside. 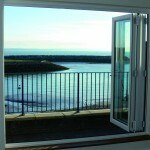 A great option, especially if you want to maximise and take advantage of any views from your home. 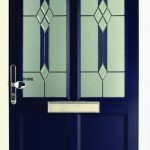 Giving that great first impression to your home, one of our composite doors makes a stylish and contemporary look. In many different and quite unusual designs as well as the classic choices, you are guaranteed to be 100% satisfied with our composite doors. Offering greater energy efficiency, higher levels of security and strong durability, with either double or triple glazing, you can always be assured of a PlatinumNRG composite door. Available with many styles of finish, our PVCu French doors are still the most popular choice and by far our number one top seller! 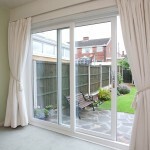 Offering a classic alternative to patio sliding doors, yet with a full opening option. These doors are a good choice in both traditional or modern homes as they look stylish and fitting in either environment. Our new range of PVCu sliding patio doors, Patio Plus, now come with all the latest designed features, including cleverly hidden crash stops and a ModLok™ locking mechanism. 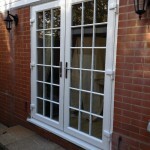 Due to the bespoke wrap over threshold, this prevents scuff marks and wear, so your Patio Plus PVCu sliding patio doors will look as good many years down the line, as when they were first installed. 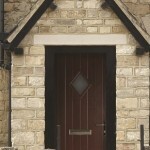 Our choices of PVCu front and back doors are the classic traditional choices you would expect of a front or back door. Practical, durable and extremely security conscious. This is what PlatinumNRG is all about with and why so many partners want to work with us for PVCu and composite doors in Sussex and the whole of the South East of England. If you would like a quote for our PVCu & Composite Doors and are in Sussex, then please give us your contact details and someone will be in touch very soon. Or please call us on 0800 6523151.